I was having a really good time last night at Echosmith’s concert when a bouncer called me up for using my GoPro. It happened really fast, but it was really crazy and one of the best experiences of my life. 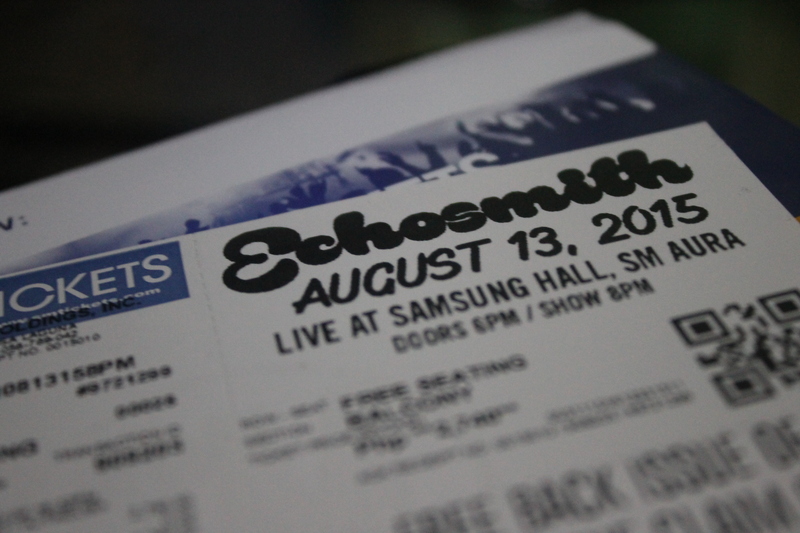 About three months ago, I bought a Balcony ticket for Echosmith’s performance in Samsung Hall. Buying the ticket, bearing in my mind is to film the entire concert and the entire journey. I only bought one ticket because I want to experience something really great on my own for the first time. I also decided that when the day of the concert comes, I will not ride a car with me. I’ll just commute by myself. Seeing that being alone on a weekday night is really dangerous, I decided to let my adventurous father come with me. The night before, I prepared the things that I’ll take with me: phone, wallet, jacket, ticket, and my trusty GoPro Hero. I rode a bus from my home to the city. I had to just hold my GoPro by hand and not by some outrageous grip, because when you wear something out of the ordinary, people will stare and people will judge. That is one of the reasons why filming is kinda hard to do in public. We’re pressured by the amount of people staring at us. Finally, I arrived at Samsung Hall. I waited in line for about two hours before the doors opened. While waiting in line, I got to talk to two Echosmith fans like me. They’re siblings: the girl is 21 and the younger boy is 17. 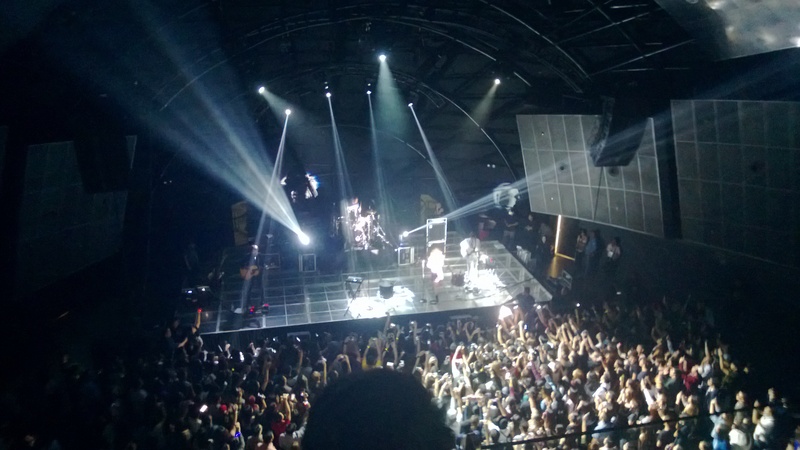 We talked about a lot of things: the concerts we’ve been to, how we discovered Echosmith, etc. The talking went on and on until a bouncer opened the door and yelled, “No DSLRs allowed! No GoPro’s allowed! No food, drinks!” He repeated it again and I was really worried. I have filmed the trip from my house to here and I was expecting that I can bring my GoPro with me inside the venue. I decided to sneak my GoPro in and it worked! I sat on the balcony a row from the edge with the two new friends I met in line. 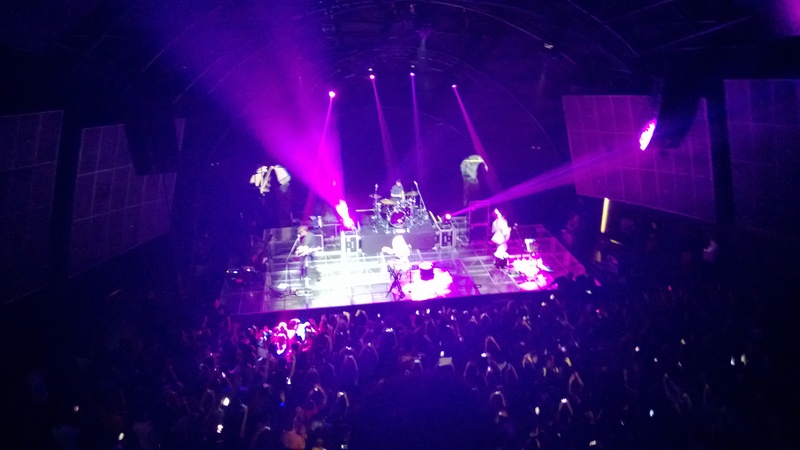 Finally, Echosmith came on stage. Sydney, Noah, and Graham. Jamie wasn’t present since he’s having a baby. I pulled up my GoPro, trying to hide it from the guards, and filmed the concert. I was having a really good time, jumping up and down, singing the lyrics to the songs, until I was flashed by this light from below. The guard waved at me, yelled something, and signed me to hand him my GoPro. I decided to wave back, give him a thumbs up, and put the GoPro back in my bag. I told him that I’m not using the GoPro anymore. 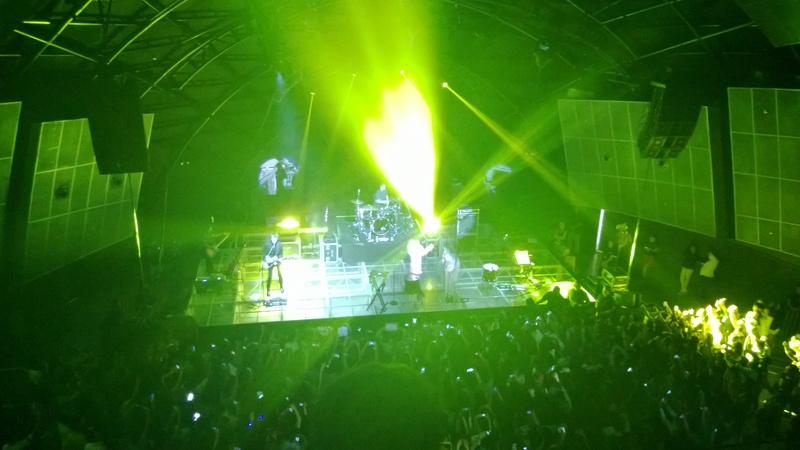 The concert continued. Sydney made her bodyguards come up on stage and dance. “Who wants to see dancing bodyguards? !” Noah rocked his guitar. Graham played wonderfully on the drums. We did the “Echo” in which Sydney claps a beat pattern and we clap back. She made her parents film the entire thing. It was cool and awesome. The concert ended. I bought a t-shirt from the merch store, and left. All We Ever Do Is Change. Accepted Into All Top Universities; Rejected Them All.